Alpha House Nursery, Pre-K, and Kindergarten will begin an expansion project in the spring semester to renovate Aquinas Hall, providing increased opportunities for students while offering more room to learn and grow on Holy Family University’s campus. 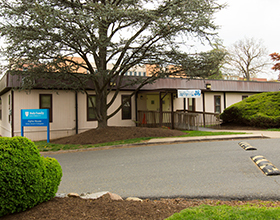 According to Mary Becker, Alpha House Director, the plan is to continue to use the current building for the Nursery and Pre-K, while the Kindergarten would move to the new location adjacent to where Alpha House is currently located. Alpha House is estimating a 25 percent enrollment increase over the next two to three years with the additional spaced provided by Aquinas Hall. Aquinas Hall previously housed the School of Business Administration before it moved to its current location in Bensalem in 2015. To create a handicap entrance to the north side of the building and to build a walkway/ramp from the Aquinas Hall parking lot to the nearest entrance. The main entrance would be on the south side of the building, near Alpha House. A concrete walkway would be installed with a canopy above both doors. To remove several interior walls to create one large open classroom. To renovate the bathrooms, including an accessible bathroom from the hallway. To create roadway highlights for student crossing between Alpha House and Aquinas Hall.